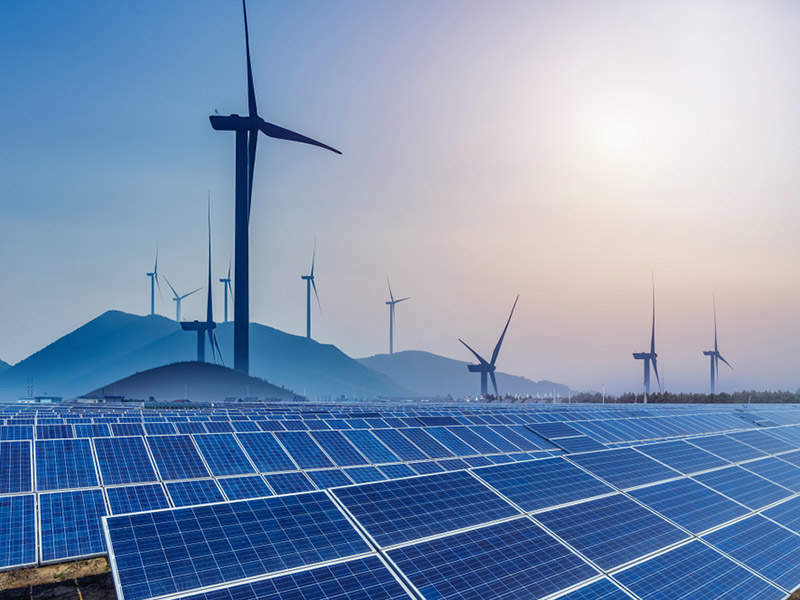 PRAMAC provides portable power and lighting solutions, material handling equipment, and small wind turbines for renewable energy generation. We offer a wide range of liquid propane, diesel, and petrol-powered multi-purpose, power generators for professional and recreational use. 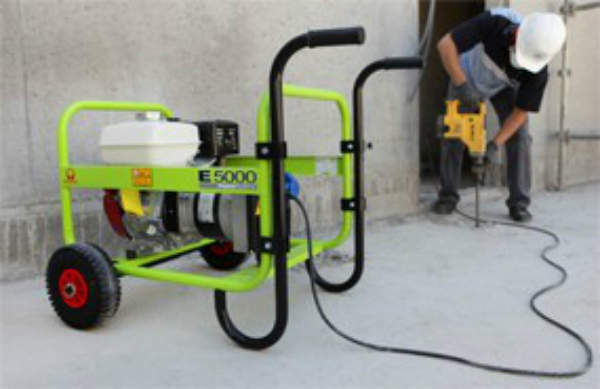 Our lightweight portable generators provide safe and versatile temporary power for a variety of demanding indoor and outdoor applications. 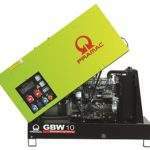 Alternatively, we supply heavy duty, stationary professional-series generators, which can support a larger power range, covering 10kVA to 77kVA. Our professional generators are also equipped with IP54 electric protection and an automatic voltage regulator. PRAMAC’s high-power solutions produce between 815kVA and 3,600kVA, depending on application and power requirements, and are available in three types: open, canopy, and container. Each generator is also equipped with a control panel to optimise fuel-efficiency and endurance, while ensuring low levels of noise pollution. 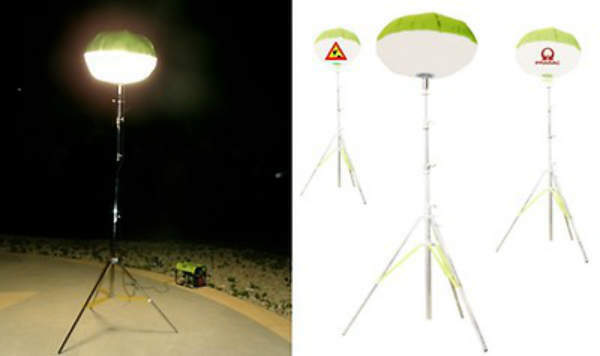 PRAMAC’s range of 4.2m-high portable lighting globes are capable of producing 4kW of lamp power up to 3,000m². They are easy to install and transport, providing a low-cost solution for outdoor lighting. We also offer a range of LSW towers, equipped with 4W to 1kW metal halide lights, which have an illumination radius of 4,000m². LSW towers are also available with manual and hydraulic lifting capabilities, as well as a road trailer for easy manoeuvrability. 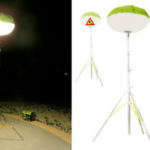 Our robust lighting solutions are suitable for a variety of outdoor applications, such as road and bridge construction, as well as emergency and disaster relief. 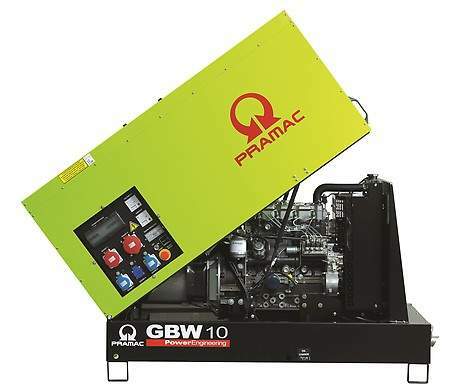 PRAMAC specialises in developing bespoke generators to support the high-demand for power solutions that are designed to suit specific applications. We produce 3MWe solutions, with low, medium and high-voltage output levels, which can be used in a number of applications. Our technical staff also design turnkey projects, with tailor-made soundproof enclosures, special control panels, and studying specific technical alternatives to meet any customer requirement. PRAMAC supplies a wide range of pallet trucks and stackers, capable of accommodating light and heavy loads, to suit any customer requirement. We provide a variety of manually operated trucks, including hand pallet units, which are available with optional scales. The X10 series of high-lifters has a height-adjustable platform of up to 800mm, and the I-ton is the world’s only pallet truck made of non-metallic, techno-polymer compound. PRAMAC also offers electric pallet trucks and semi-electric stackers, designed to provide high energy-efficiency performance and system-reliability. Our range of electric lifting solutions can be used for light-duty applications on smooth surfaces, as well as transporting safe working load capacities of up to 2,000kg across long-distances. Each electric lifting solution is equipped with traction motor technology, an energy recovery braking system and dual lift controls. PRAMAC trucks operate without a battery, which makes them lightweight and easy to transport and manoeuvre. PRAMAC was founded 1966 by the Campinoti family. 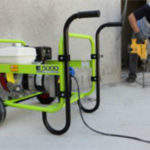 It began operation as L’Europea, a construction equipment company focused mainly in the Italian market, before expanding into a global supplier of energy solutions for the power industry. 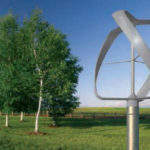 Since then, PRAMAC has expanded into the renewable sector, providing photovoltaic panels, as well as, the WT400W twin blade turbine and WTIKW triple blade turbine vertical access ‘Darrieus’ type windmills. 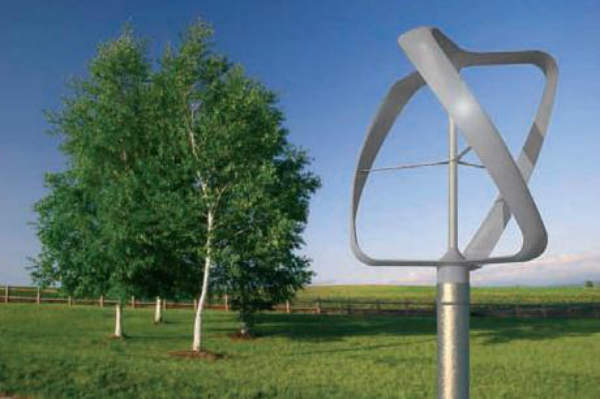 These can create renewable energy for private housing and small businesses independent of wind direction.